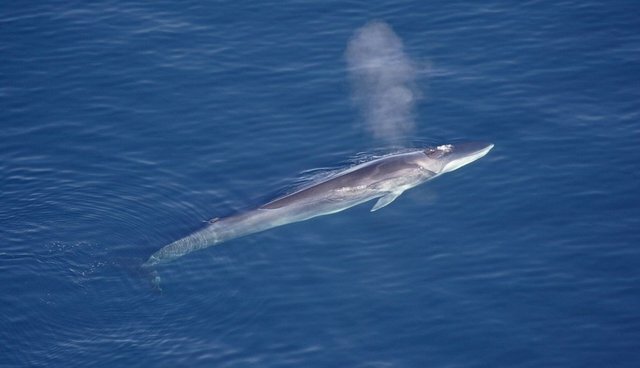 An Icelandic whaling company in the north Pacific was caught with an endangered fin whale they'd hunted, just days after Japan faced international backlash for slaughtering 30 minke whales. The kill, the first for Iceland for this year's season, has prompted calls for a boycott of the company, Hvalur hf. The whale was spotted at the company's processing station in Hvalfjörður, about an hour from Reykjavik. Like Japan, Iceland continues to whale, despite a global moratorium on the practice imposed by the International Whaling Commission in 1986. Iceland resumed whaling under a loophole to the moratorium in 2006, though the country makes no claims of "scientific research" like Japan. The practice is almost exclusively done to export fin whale meat to Japan -- despite a ban on international trade in fin whales under the Convention on International Trade in Endangered Species of Wild Fauna and Flora (CITES). Since 2008, more than 5,540 tons of fin whale meat have been exported, according to the Environmental Investigation Agency (EIA). The news has sparked calls for consumers to boycott HB Grandi, Iceland's largest fishing and seafood export company, which controls nearly 12 percent of the country's fishing quotas. The company actively promotes whaling and processes the meat for market. Others are also calling on lawmakers to recognize Iceland's whaling program, especially in light of the upcoming IWC meeting in September. "EU member states have to wake up to the fact that commercial whaling and trade, in defiance of the IWC and CITES, is taking place right on their doorstep," said Clare Perry, Senior Campaigner for the Environmental Investigation Agency (EIA). "This hunt of endangered whales must no longer go unchallenged – we look to EU member countries to lead opposition to Iceland's whaling at the IWC meeting in Slovenia."